How’s this for a shed. Excuse the expression, but Paul’s as happy as a ‘pig in mud’. I think it has something to do with men’s toys and men’s sheds. There is one huge shed here with 4 roller doors, and behind each roller door there’s more than enough room for a full sized caravan. That’s just one of the sheds. Currently it has a big bale of hay for feeding the cows, a tractor and all it’s attachments, and Paul’s moved our van in there where he’s giving it a good cut and polish. The shed’s more than half empty…..
There’s also another huge shed with two big roller doors on it. 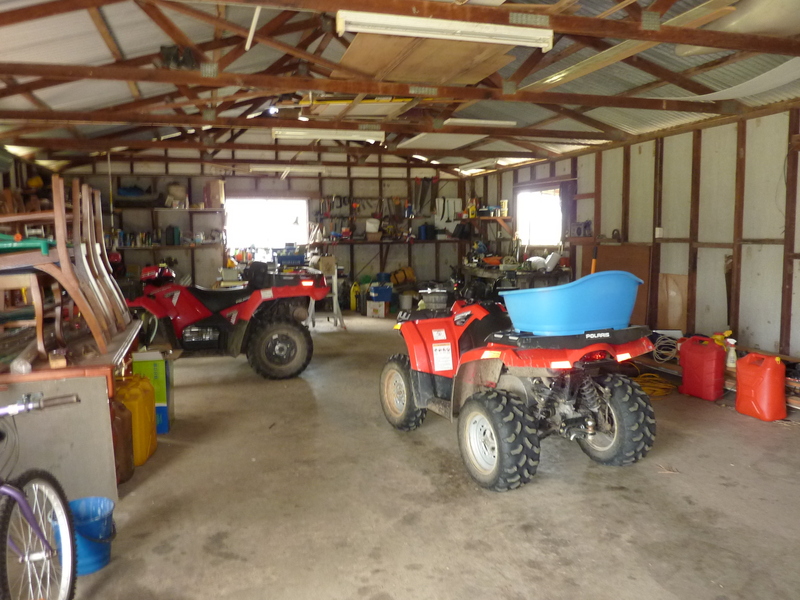 This one houses all the quad bikes, motor bikes, ride on lawn mowers, normal lawn mowers and loads of other stuff that only a man could understand. 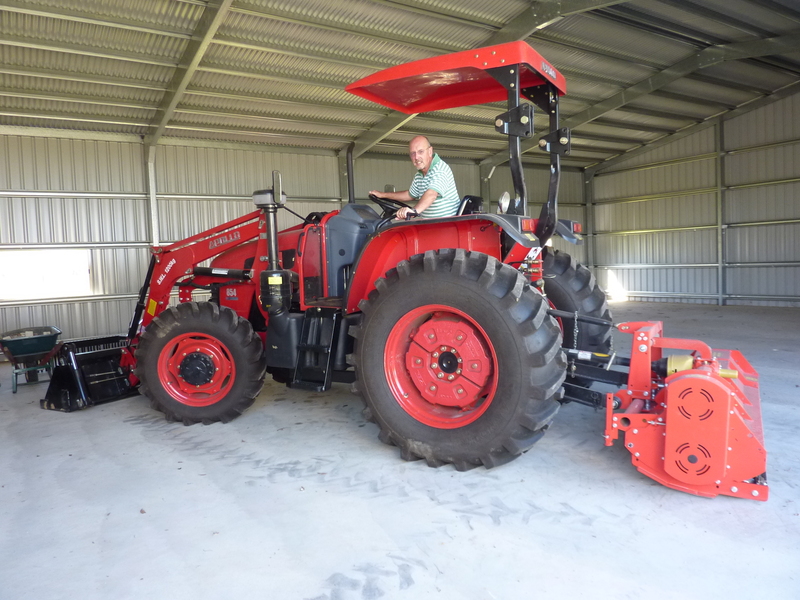 Men’s toys, no wonder Paul’s happy as a ‘pig in mud’. There’s more out buildings too, but those are the two that are like candy to a man. 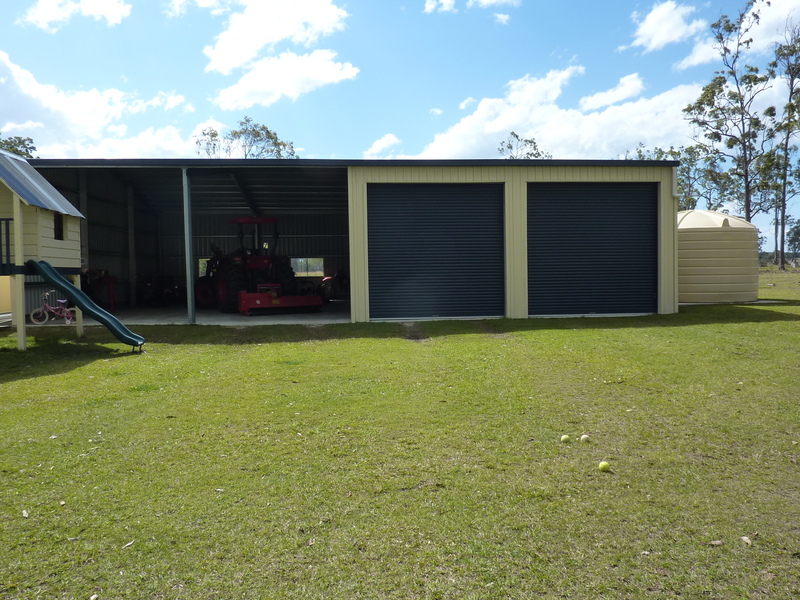 And what does a man do with a shed like this, he attaches the trailer to one of the quad bikes, Abbey sits behind him with her head resting on his shoulder, Riley sits in front of him on the seat. 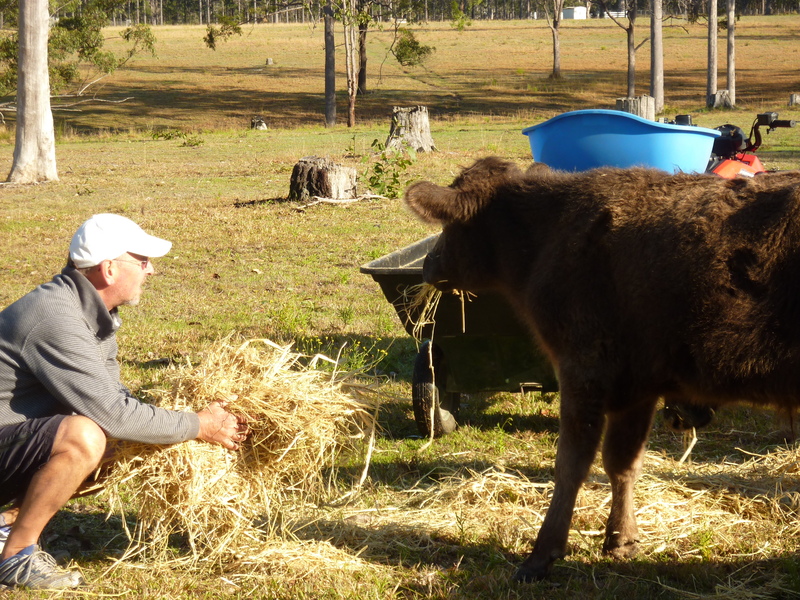 Then he drives from one shed to the other and loads the trailer up with hay, and drives out to the paddock to feed the cows. 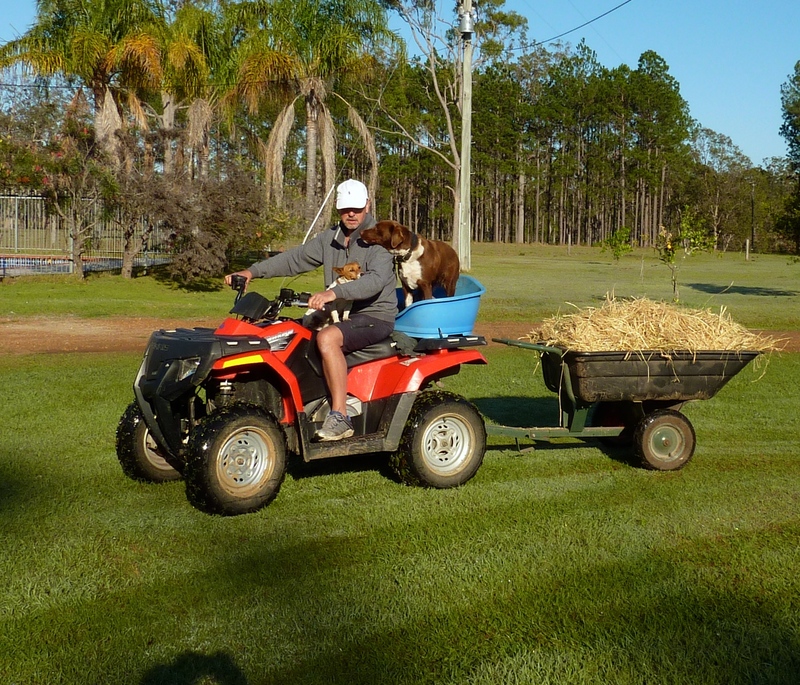 Result – happy cows, happy dogs, happy man! Life of Riley at it’s fullest!!! Pity Glyn couldn’t have met you at this one..